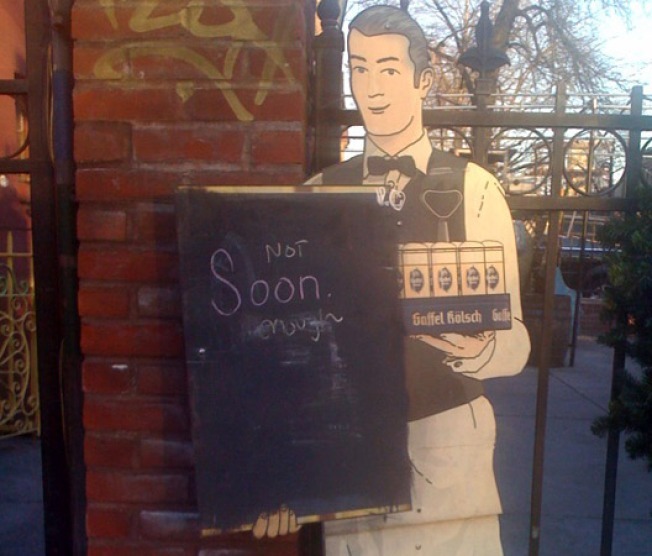 Let the Gowanus Yacht Club Watch begin, per this tipster photo taken yesterday. The ultimate sign of spring—the opening of Carroll Gardens' favorite outdoor beer garden—slowly approaches. Oh yes it will be unleashed...just not soon enough. Anxious GYCers should note it opened up last year on April 18.